This is the second web game we created in partnership with Heart’s agency Trigger Buzz. 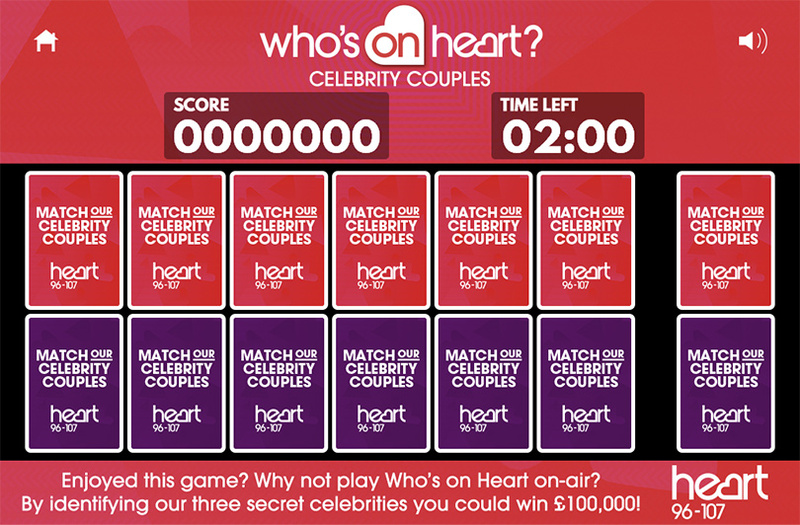 The game was created to help drive interest in Heart’s on-air competition of the same name. The game was created in HTML5 to allow play on mobile devices and integrated with the Facebook games API for scoring and social sharing. Match the celebrity couples on the cards before time runs out to move on to the next level. Watch out though, each incorrect answer incurs a time penalty.